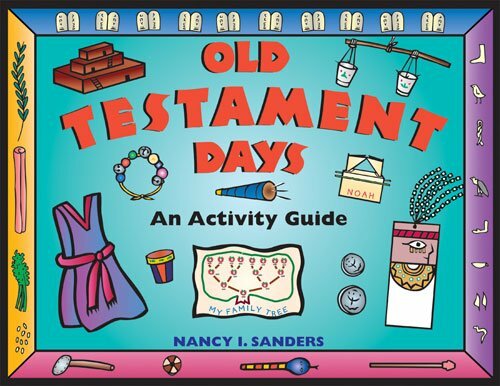 More than 80 projects drawn from archaeological evidence and Bible descriptions make Old Testament days come alive in this activity guide for children ages 5 to 12. Children can enjoy a desert picnic of dried figs, goat's milk cheese, and lentil stew, or make a loose tunic like the one young Isaac wore on his family's trek to the Promised Land nearly 4,000 years ago. They can make a painted throwing stick or a wooden paddle doll like the ones Moses might have played with in the Pharoah's palace, and build toy instruments like those the Israelites used to celebrate their return to Jerusalem in approximately 538 B.C. Games, recipes, crafts, and just enough historical background provide plenty of educational fun for home or school. 1/23/2008 Nancy Sanders said: Explore the history of life during Bible times with fun activities! Perfect for classroom or homeschool use.